“Few people realize that Jews have had politically independent states outside of the land traditionally associated with Jewish political independence, or the area roughly equivalent to the State of Israel”. So begins Eric Maroney’s ever fascinating book The Other Zions. Maroney provides an important overview of Jewish history in various locations and time periods, focusing on Jews who formed their own autonomous or independent entities throughout history. This is a refreshing read for one who wants to a break from the emotionally taxing and towering literature about Jewish persecution. Maroney’s book is about tough Jews, clever Jews, the heroes, the rogues and all those in between. As a young boy I remember reading Monroe Rosenthal and Isaac Mozeson’s Wars of the Jews and how it fired my imagination at the time. Maroney’s book is aptly subtitled “the lost histories of jewish nations”, because many of the stories recounted within are virtually unknown. Attending school and reading the required literature familiarized me with the classic stories of Jewish loss and bravery; Hanukkah, Purim etc. but who knew that in the early part of the 6th century, a Jewish King named Yosef Dhu Nuwas ruled what is today Saudi Arabia. Who would have imagined that this Jewish king, upon hearing of the persecution of Jews in Christian-dominated lands appointed himself the Jewish avenger and destroyed Churches and persecuted Christians (ironically, it was Dhu Nuwas’s massacre of Christians at Najran that would seal his fate and would nearly erase the Jewish presence in Arabia replacing it with Christianity before both were subsumed by the rising tide of Islam). It is instructive to note that virtually all of the entities discussed in Maroney’s work were founded by people who were not ethnically Jewish, but rather proselytes to Judaism (perhaps forms of Judaisms in the plural would a more proper way to put it). The first such state was the Aramaic-speaking land of Adiabene. Its Jewish character was taken on shortly before the destruction of the Second Jewish Commonwealth (to which Adiebene sent supplies and fighters). This is followed by a description of the enduring myth of the Ten Lost Tribes and their possible locations. Maroney seems to prefer working with material and sources that are as provenanced as possible. This seems to be why he neglects to discuss the Pashtun tribesman of Afghanistan. This fiercely independent ethnic population has long been rumored to be of Israelite descent (see here). Chapter 3 discusses the fascinating and complicated history of the Beta Israel- Jews of Ethiopia. However Maroney provides a sober and concise history of this mysterious kingdom citing various documents and traditions that leaves the reader with little doubt as to the actual existence of such an entity. This is followed in Chapter 5 by a fascinating look into Medieval Arabia and the Jewish Himyarite Kingdom that once existed there. In Chapter 6 Maroney discusses the Kingdom of Adiebene in deatil. Chapter 7 deals with the North African Berber Jews and their semi-legendary leader Qahina. In this chapter Maroney as his scholarly manner does not engage in the citation of folklore that may be legendary in nature. One such tradition from North Africa comes to mind. Rabbi Ya’akov Toledano was an Israeli Rabbi of North African extraction who wrote various works including a book called Ner Ha-ma’arav (Light of the Maghreb) on the history of Moroccan Jewry. The book can be read in its entirely online here. It is worth citing one interesting passage from the book. Toledano cites an ancient tradition namely that the first Jews of North Africa were members of the “Ten Lost Tribes”. It was members of the tribe of Efraim who settled in the town of Ifrane (allegedly named after/by the Ephraimites) on the Atlas mountain range in southern Morocco. According to this tradition they grew in numbers and in power until they ruled over other non-Jewish tribes in the area. Their first king, according to this tradition, was named Abraham Ha-efrati (literally, from the tribe of Ephraim) and the mantle of kingship was passed on to his descendants for many generations afterwards. The legend continues that when Ezra the scribe summoned the Jews of this region to join him in reconstructing the Second Jewish Commonwealth, they refused and they were punished as a result with the gradual loss of their power and prestige (interestingly, similar legends regarding refusal and punishment are recounted in the stories of other Jewish Diasporas, most famously among the Jews of Yemen and medieval Ashkenaz). Their final downfall came when they were vanquished by one of their long time foes who forced the royal family to change their royal moniker from “Efrati” to “Afariat”. This surname is common among many Jews who stem from that area. Maroney also omits any mention of the fascinating Zenobia, queen of Palmyra. This audacious woman who defied the might of Rome may have been a proselyte or of Jewish extraction, see here. Surprisingly, no mention is made of the Edomites either. The Edomites are an ancient people that dwelled in Transjordan. During the Hellenic period they are referred to as Idumeans. The Hasmonean monarch, John Hyrcanus famously forcibly converted this nation to Judaism (some scholars claim that the Idumeans were in fact descendants of the Israelite settlers; the tribes of Reuben, Gad and part of Manasseh that had famously petitioned Moses for permission to settle there) and they continued to dwell in their ancestral lands under some sort of autonomous arrangement. This fierce people would eventually aid the Jewish zealots in their revolt against Rome sending, according to Josephus, 20,000 troops under the leadership of commanders bearing typical Jewish biblical names. And finally, in chapter 8, we get to the somewhat bizarre former Jewish Autonomous Republic of Birobidzhan. Birobidzhan was a Stalinist experiment to offset the attraction of the Zionists and provide those Jews who wanted to exercise their right of self-determination to do that within the parameters of the “soviet paradise”. Chapter 9 is entitled “Who is a Jew” and it raises important and interesting points regarding who is was and even who ought to be a Jew. 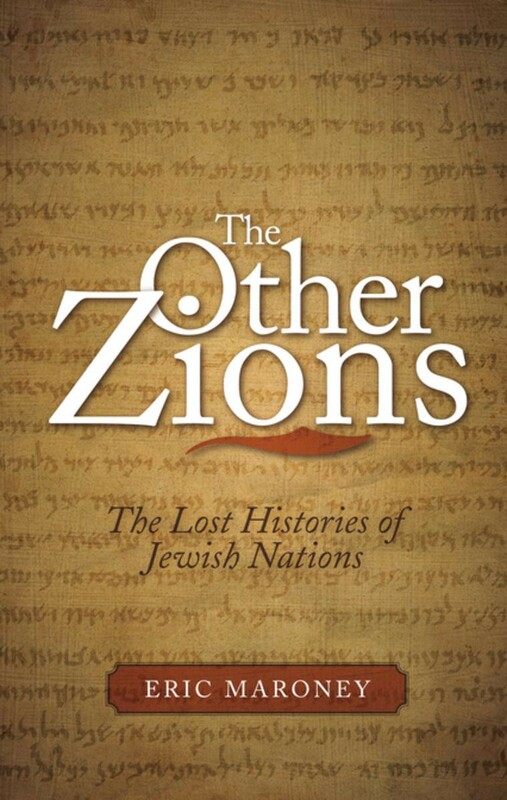 The people who made up the other Zions long ceased to exist (with the exception of the Beta Israel), however their memory endures and it is of little doubt that it was the existence of these other Zions that provided inspiration to scores of Jews living in far-flung corners of the world from ancient times until the founding of the State of Israel. Part II of the "First of Nissan, The Forgotten Jewish New Year"
I am an independent research historian and genealogist and currently working on my first book that will explore the Sephardic origin of many Eastern European Jews. I hope to correspond on this blog with like minded individuals and learn more about the subjects being discussed as well as impart some of my own knowledge to others. Please be considerate and give proper credits when reproducing anything from this site. Thank you.